Who loves a good Friends & Family Sale? 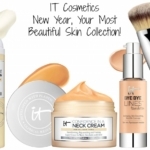 IT Cosmetics! IT’s Friends and Family event is a great time to stock up on all your favorites, try something new, and save money at the same time. The sale starts tomorrow, April 9th, so I’ve got suggestions ready for you. 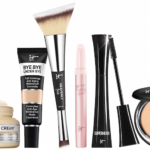 If you’re like me, you have quite a few trusted IT Cosmetics on your vanity and in your makeup bag. 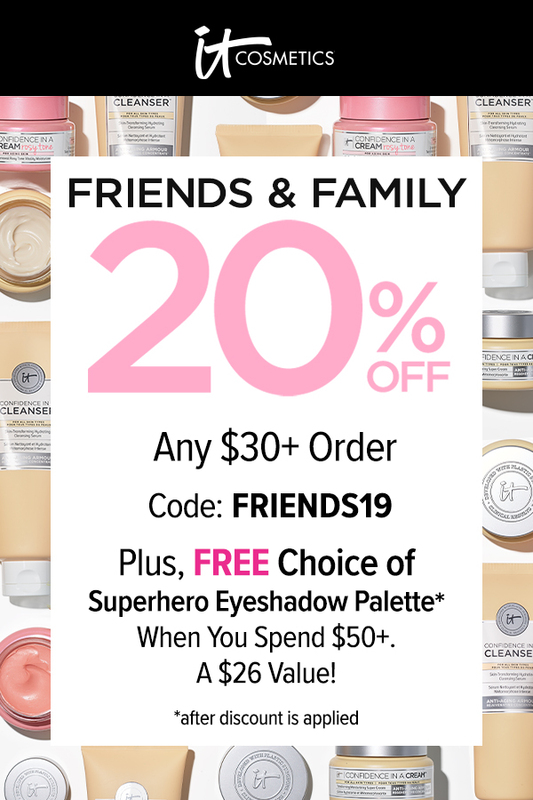 So the Friends and Family Sale is the perfect opportunity to save 20% on everything–the entire website–when you spend $30 or more. That means skincare, makeup, brushes…all your favorites! 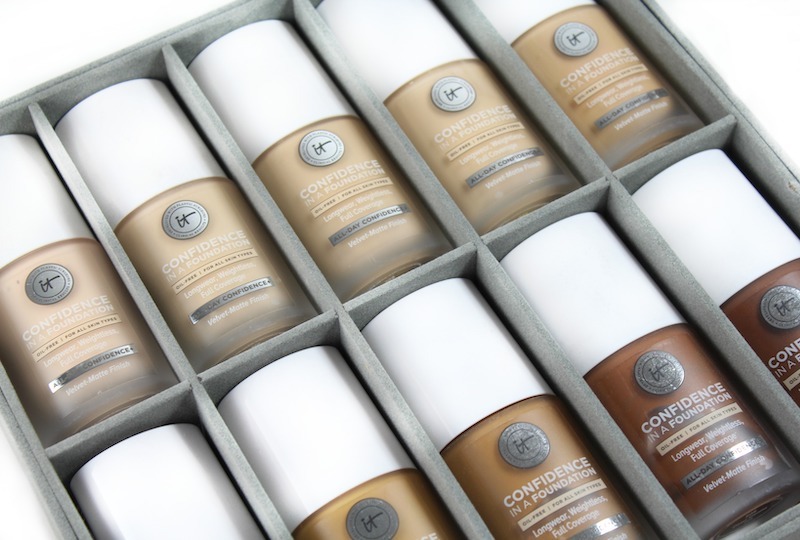 Confidence In A Foundation is one of the newest additions to the IT Cosmetics foundation family. This is a full-coverage foundation that’s oil-free, long-wearing, infused with skincare ingredients like ceramides, peptides, hydrolyzed collagen, hyaluronic acid and squalene AND comes in 48 shades! I’ve been testing the Confidence In A Foundation and wearing the 210 Medium Sand shade (usually NC 30-35). This foundation has a velvet-matte finish and can be used by all skin types, but to be honest, if you’re dry to very dry, this is likely going to sink into lines unless you use a good moisturizer or hydrating primer underneath. There’s a new, angled Heavenly Skin Skin-Hugging Foundation Brush #707 for application. 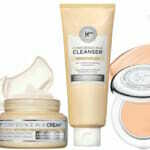 With warmer weather coming up, a good moisturizer is a must. The Confidence In A Gel Lotion Moisturizer is a great choice. 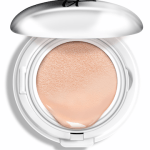 It’s oil-free, weightless on the skin and keeps skin comfortably hydrated all day. I love that Confidence In A Gel Lotion Moisturizer is infused with ceramides, glycerin and cactus flower extract to help smooth the appearance of fine lines. 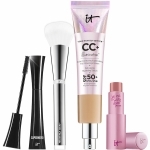 I’m using this under makeup and getting great results! 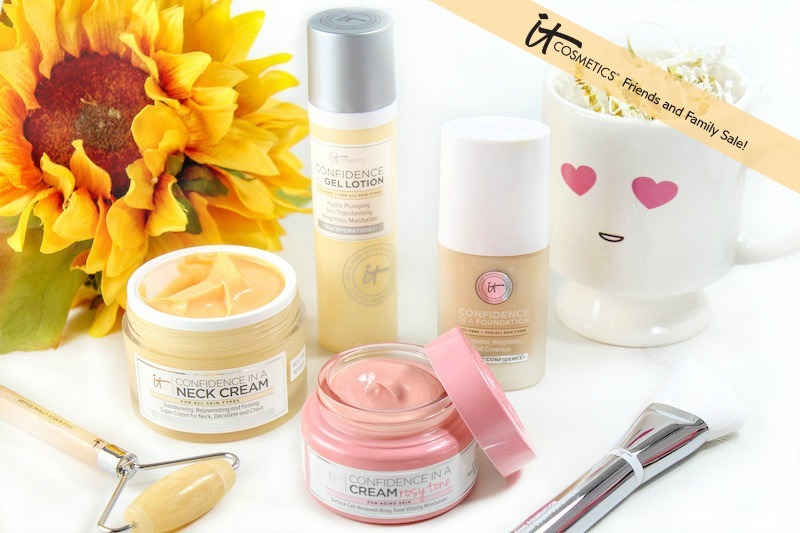 If you like a more traditional cream moisturizer, but one that gives your skin a luminous, rosy glow, try the Confidence In A Creamy Rosy Tone Moisturizer; I’m seriously obsessed! I’m also regularly incorporating the Confidence In A Neck Cream Moisturizer into my nighttime skincare regimen. With all the looking down into my phone, I’ve noticed more horizontal lines on my neck than ever. 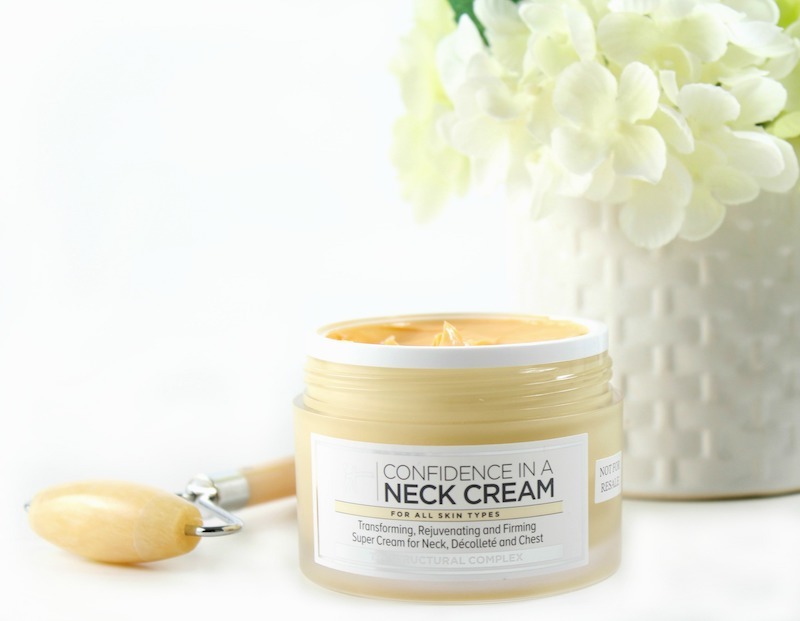 I’ve finally accepted that, yes, a neck cream is a necessity. I really like the moisture that this cream provides and I’ve already noticed smoother skin on my neck and chest. 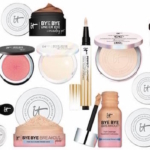 The IT Cosmetics Friends and Family Sale runs April 9th through the 13th, only on itcosmetics.com. Will you be shopping the sale? Let me know what you haul!